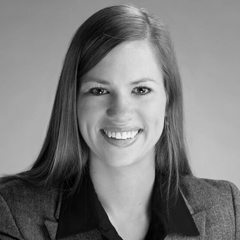 Lindsey Senn is a vice president at Fifield Companies. In this role, Senn is actively involved in development and acquisition projects from inception to disposition. Her primary responsibilities include originating and evaluating multifamily investment opportunities, sourcing debt and equity financing and asset management. Since joining the firm in 2013, she has contributed to $400 million of multifamily development in the Chicago market encompassing more than 1,100 units. Previously, Senn was a project manager for Ridge Property Trust. Senn graduated from the University of Wisconsin – Madison, where she earned a BBA in real estate and legal studies. She is a member of the Wisconsin Real Estate Alumni Association, Real Estate Finance Forum and Young Real Estate Professionals.